Part of my intention with this blog is to share with you new information, techniques, or research that I think will help you with your weight loss struggles. So when I recently came across a podcast and book by an author named Gretchen Rubin I was super excited to share some of her insights with you.The book is called Better Than Before: Mastering the Habits of Our Everyday Lives (her website can be found here). Her perspective on using the power of habits to help create happiness contains in it many useful bits of information that can help you significantly. Suzie Sweettooth has committed herself to a low carb lifestyle which has required great effort on her part. She has given up all her favorite sweets and has lost a ton of weight. She feels healthier and happier. Her birthday is coming up and she has planned a trip to her favorite Italian restaurant where she is going to have a big plateful of fettucini alfredo (her favorite) followed by birthday cake. She spends the night enjoying great food and great friends and over the ensuing weeks looks back fondly on her birthday night out. Debbie Donuts has had a stressful couple of weeks at work. 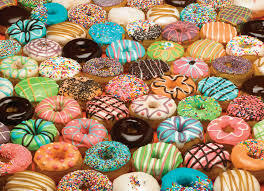 So on Friday when she comes in and her manager has kindly bought the entire staff a few dozen donuts as a treat, Debbie is caught off guard. Even though she has committed herself to a low carb no sweets diet, the cream filled sugar fix has her attention. She thinks to herself, what’s one donut, I’ll work it off at the gym later and she eats the donut. The pleasure is short lived and about 15 minutes later she feels guilty and that she is a bit of a failure. 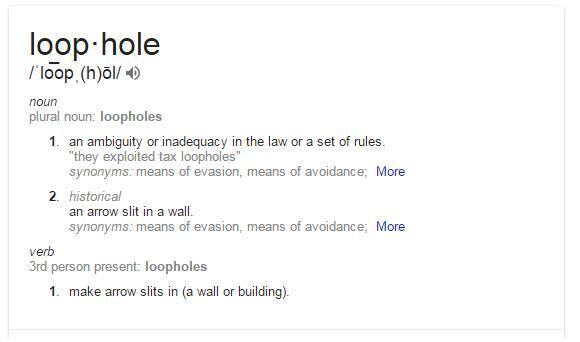 I’m sure you can think of a long list of various loopholes. The human brain is exceptional at its ability to come up with excuses and rationalizations. Rubin has come up with a long list in her book. I thought I would explain one to you and see if it sounds familiar. She calls it the one coin loophole. It’s based on the premise that at some point adding one coin makes a person rich. So if you ask someone who has 10 coins if they are rich the answer is no. If you add one coin and ask them if they’re rich now, the answer is no. That one coin didn’t make them rich. If you keep adding coins, eventually one of those coins crosses the threshold and, yes, at that point, one coin makes them rich. So if you were to ask yourself if one coin makes you rich, on one hand the answer is no while on the other hand, the answer is yes. How does this play out with weight loss. It goes like this. That one time you go to the gym doesn’t make you fit. It’s the collection of many one times that creates the habit that makes you fit. So when you wake up in the morning and really don’t want to go to the gym because you’re tired, lazy, unmotivated, etc, your brain will find this loophole and tell you that this one time doesn’t really matter so much. What’s skipping one day going to do? The answer in reality is ‘not much’. 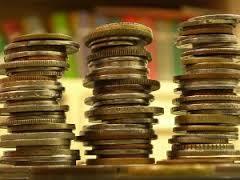 The problem is that if you add up those coins, eventually they add up to great riches and visa versa. If I were to use the example from above. Debbie Donuts tells herself, what’s one donut? The reality is that when you add up all those donuts and other failures, it makes a difference on the scale and on her happiness. The value of being aware of the loopholes is that knowing is half the battle. If you are aware of the loophole you can stop yourself before you fall for them. If you do fall for the loopholes, don’t despair, get back on the wagon. If you’re looking for strategies and mindsets to help you with that, read my older post Falling Off the Wagon. It will help. And as always, good luck!